Bury St Edmunds is one of England's best preserved historic market towns. Its mediaeval urban structure is largely unspolit, albeit many buildings within the town have been subsequently refaced to suit the styles of later eras. 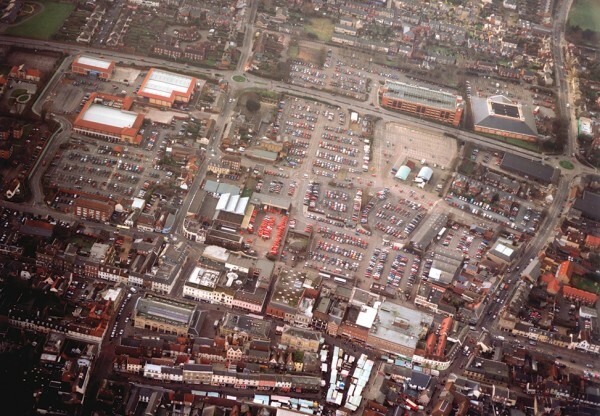 The Cattlemarket site was established in Victorian times, when this activity was moved from Cornhill, the mediaeval market place, to a site adjacent to the town's western perimeter. When market activities ceased the site became a large car park. The town then seized the opportunity to extend its historic core into this area and commissioned Centros Miller together with Hopkins to work on the masterplan for this area. 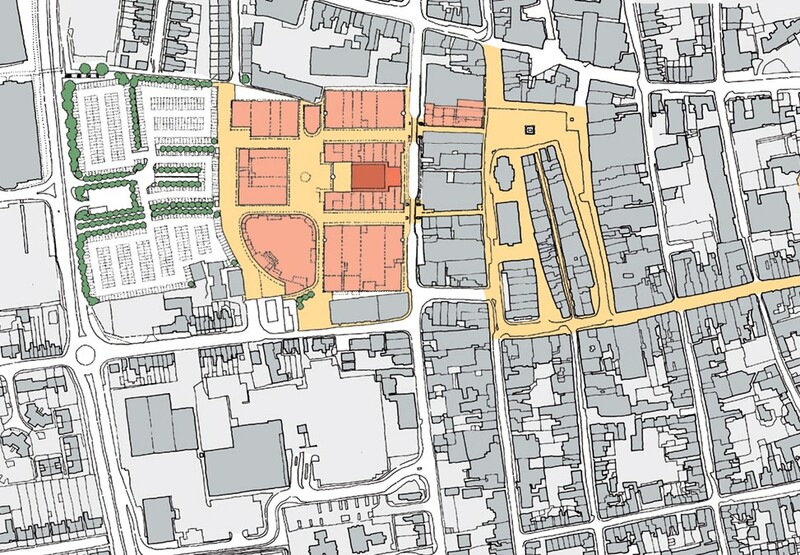 Working with the town's mediaeval grid structure and extending its series of linked mediaeval public spaces, we sought to develop themes learnt whilst masterplanning Northgate in Chester. 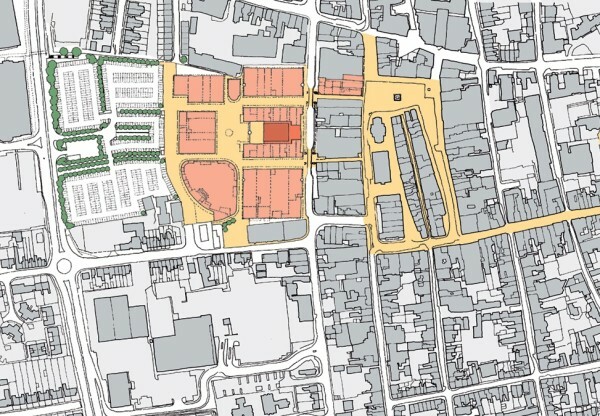 The site has been broken down into a series of appropriately scaled buildings based more on Bury's Victorian Corn Exchange than the mediaeval urban blocks with their multiple ownerships. Generally these buildings have cafés and shops at ground level with two storeys of flats over, although two of the buildings have shopping on two levels. 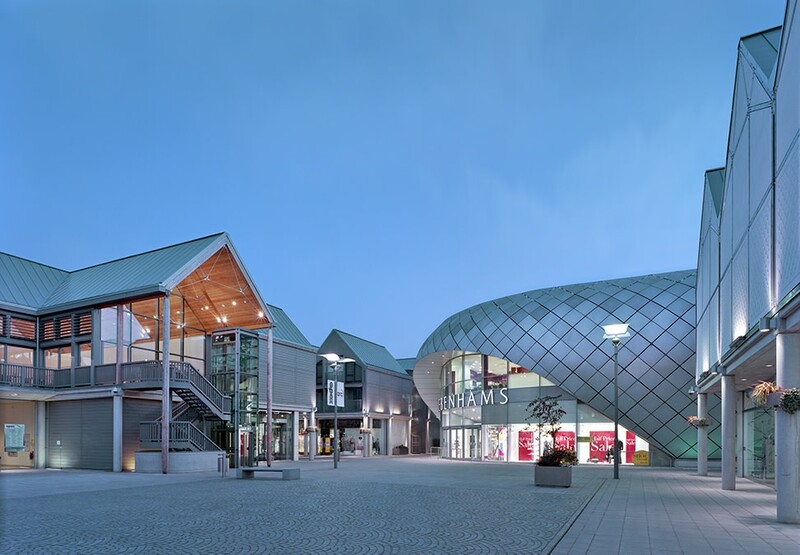 At the centre of the scheme is The Apex, a modern market hall which serves as a multi-use performance space and which adjoins a south facing public square. The new development is linked to the old town by existing pedestrian routes passing through the historic perimeter. One of these links will be redeveloped to provide a new arcade. Further information about the residential and commercial development, Arc, may be found here.